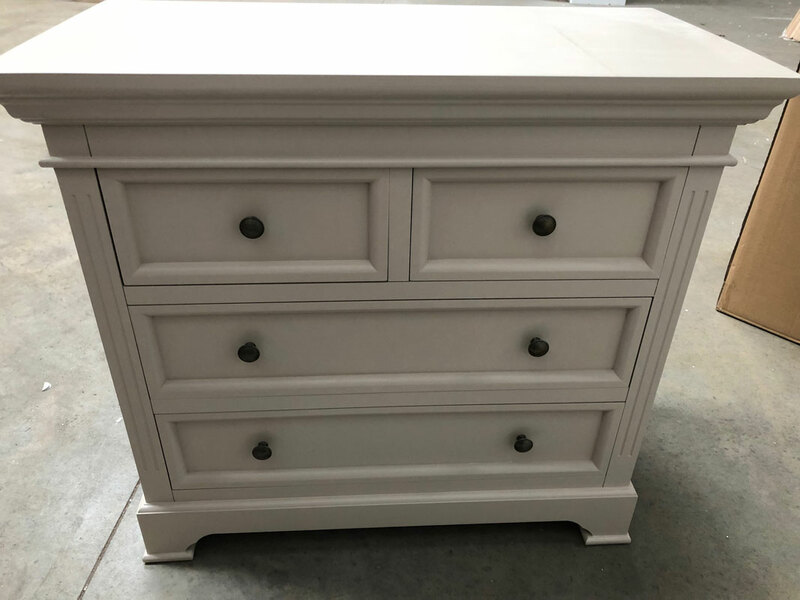 This is our Daventry Taupe-Grey 4 Drawer Chest of Drawers. A classic, vintage, Georgian inspired furniture collection. Ideal storage for a bedroom or living room. An elegant furniture set that can blend into vintage or contemporary homes. 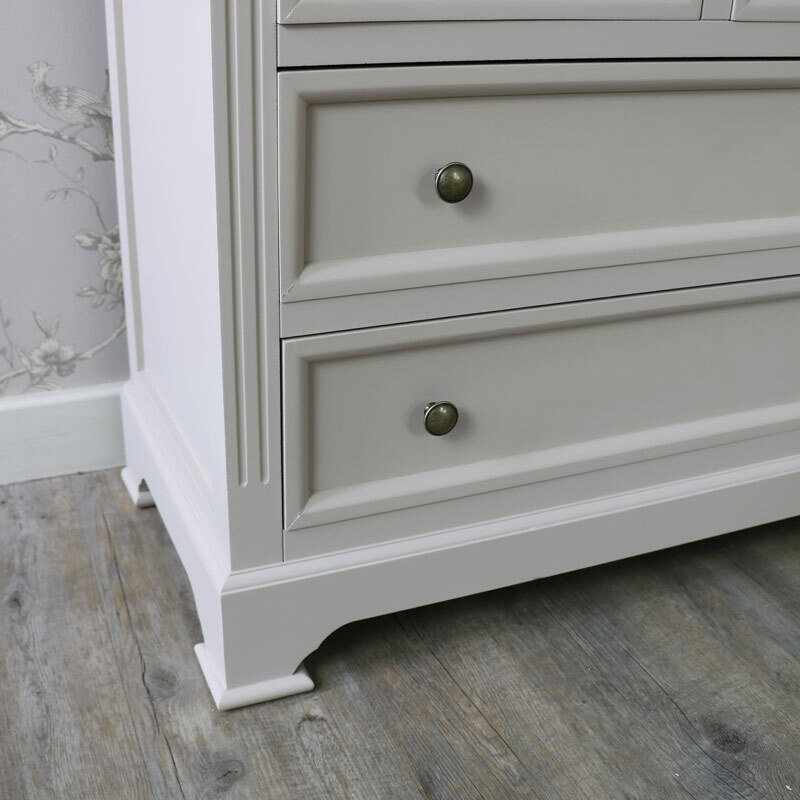 Hand painted, natural wood in a taupe-grey colour and round brass drawer knobs that incorporates a neutral colour scheme to complement most decors. 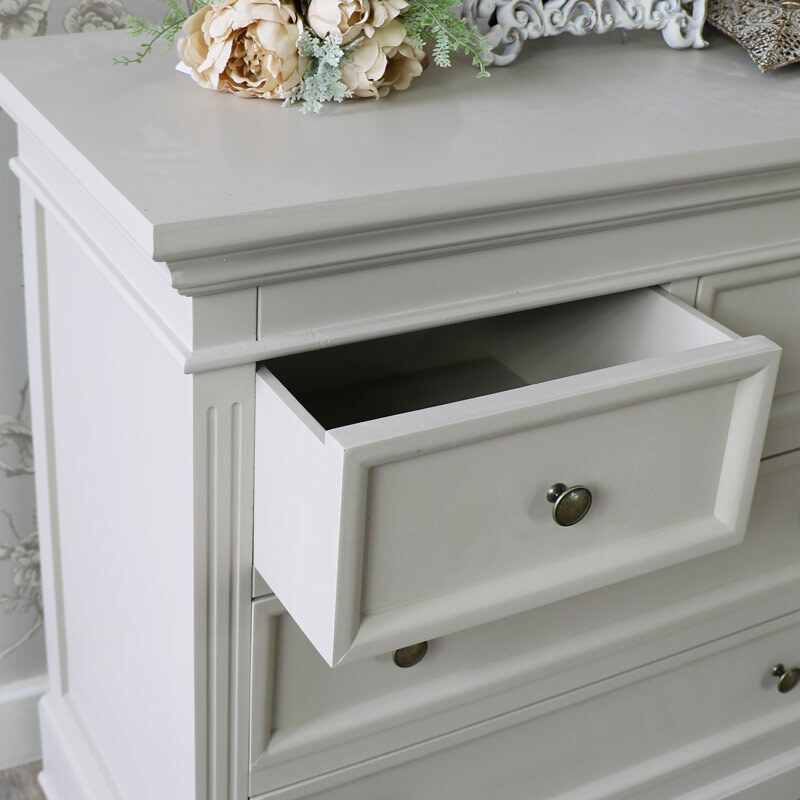 Fully assembled, the 4 drawer bedroom storage chest is perfect for your French or country style home, with a Shabby Chic edge. In a 2 over 2 design with the 2 smaller drawers side by side to the top and two larger underneath. We have many more pieces available in this range for you to furnish your home from top to bottom. 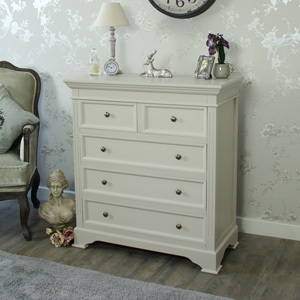 This is our Daventry Taupe-Grey 4 Drawer Chest of Drawers. A classic, vintage, Georgian inspired furniture collection. Ideal storage for a bedroom or living room. An elegant furniture set that can blend into vintage or contemporary homes. 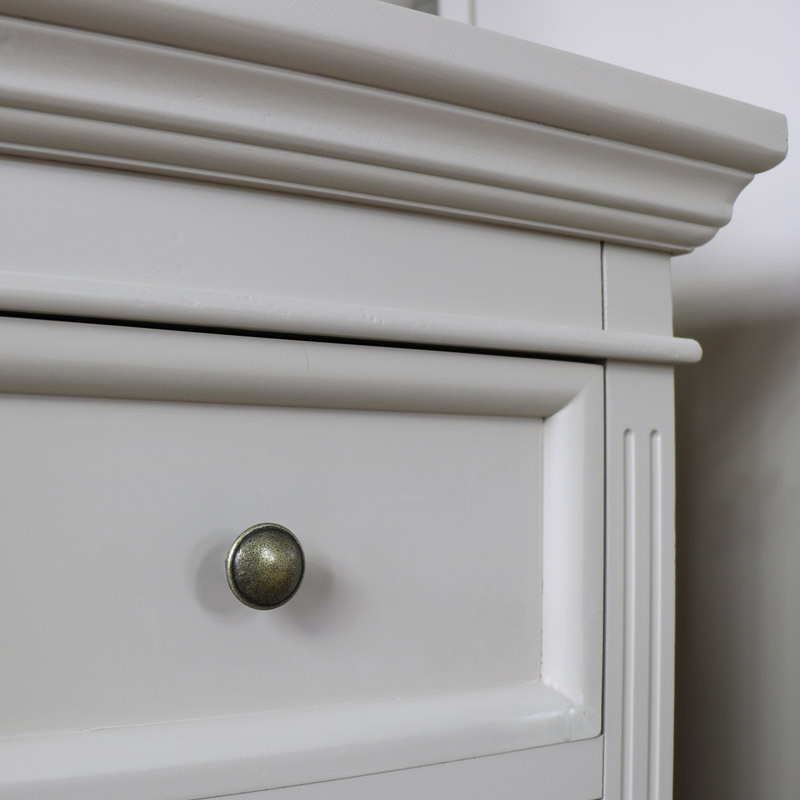 Hand painted, natural wood in a taupe-grey colour and round brass drawer knobs that incorporates a neutral colour scheme to complement most decors. 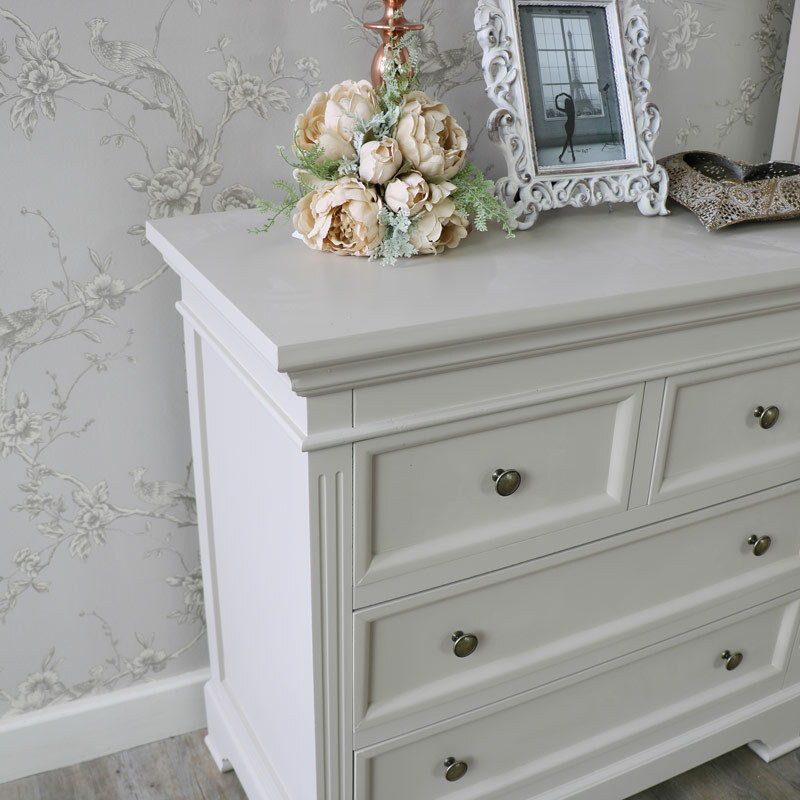 Fully assembled, the 4 drawer bedroom storage chest is perfect for your French or country style home, with a Shabby Chic edge. In a 2 over 2 design with the 2 smaller drawers side by side to the top and two larger underneath. 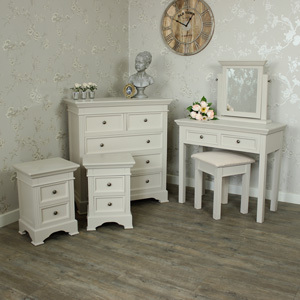 We have many more pieces available in this range for you to furnish your home from top to bottom. 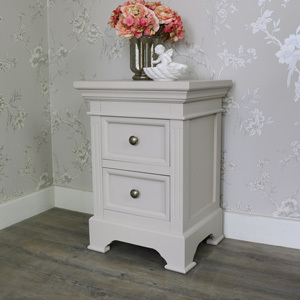 Constructed with wood and painted in a taupe-grey colour. The chest comes fully assembled and ready for use. WeWe have a fantastic choice in furniture to suit a wide range of styles and colours, from the rustic, retro and industrial to the more classic French, country cottage look. With complete furniture sets to standalone pieces. 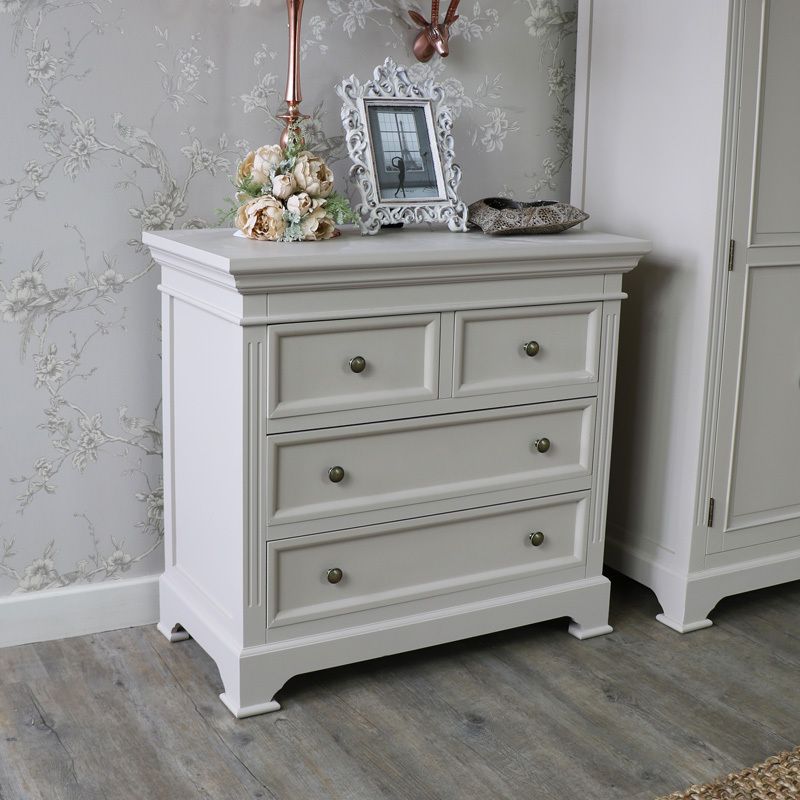 From the Daventry range, this is a Two over Two Storage Chest, which is made from wood, and painted in a Taupe Grey, giving the vintage look. 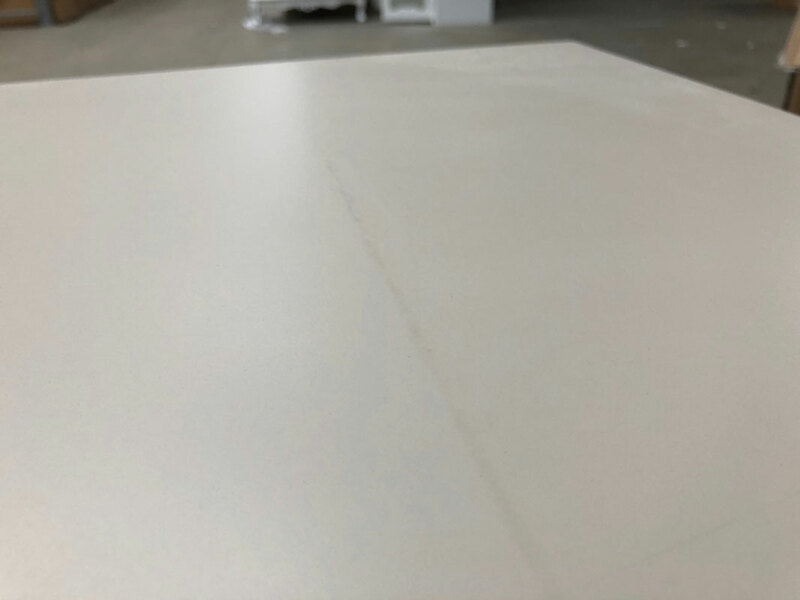 Its classic lines include a high top plinth and a shaped lower one. 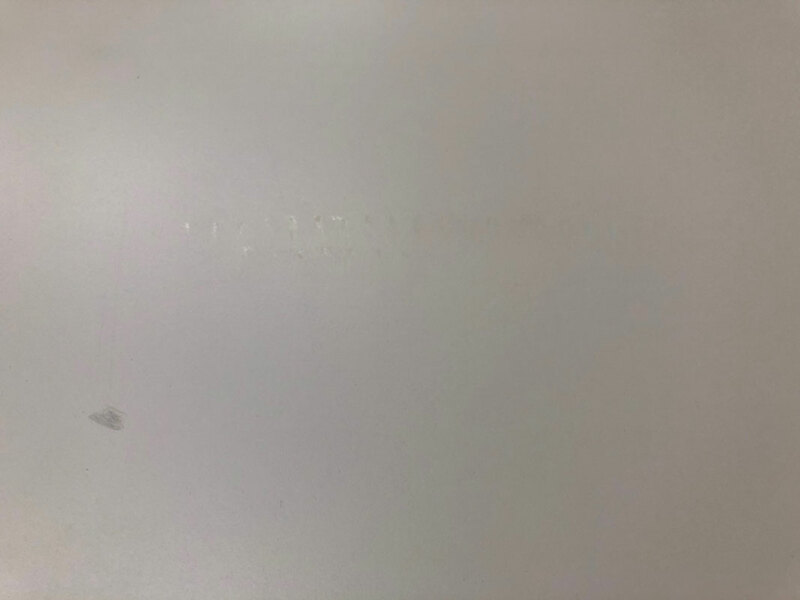 The drawers have large dark knobs. There are other items in this range, and multiple purchases may allow us to offer a discount. Its dimensions are 80 cm x 75 cm x 40 cm (width x height x depth).